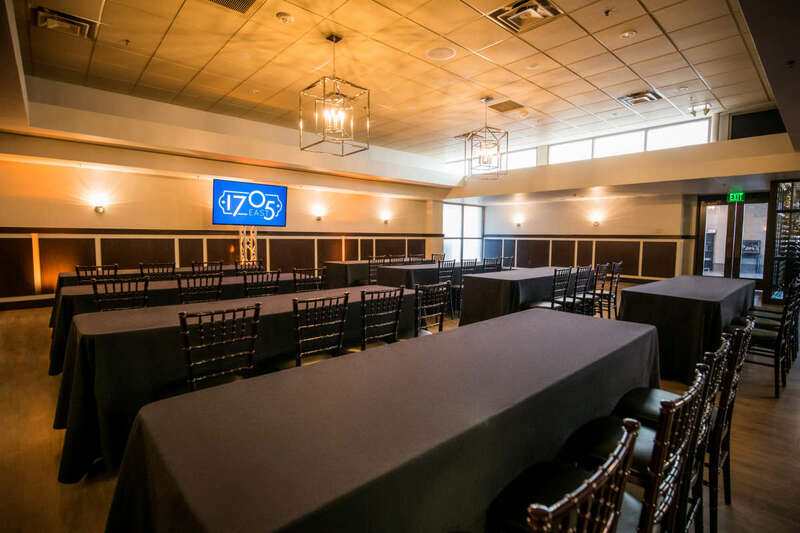 1705 East in North Raleigh is an ideal meeting space for corporate events, board meetings, sales trainings, employee celebrations and more. 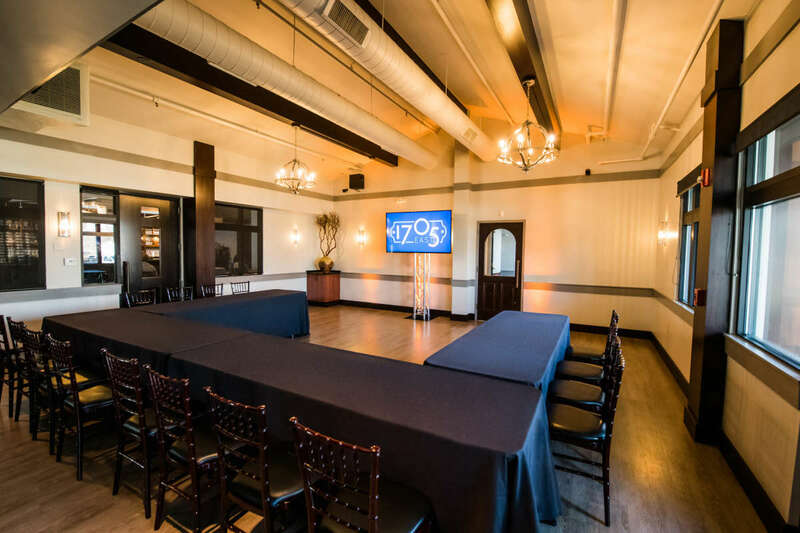 Our Capital Room can accommodate up to 80 people classroom style and up to 160 people reception style. 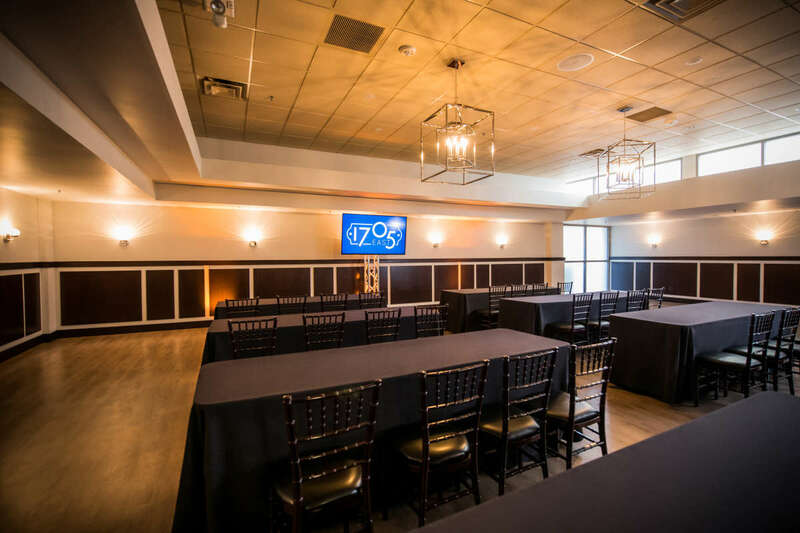 Our Rutherford Room can accommodate up to 48 with classroom style seating and up to 72 with reception style seating. These spaces can be booked separately or together. Affordable meeting space fees include an A/V package, free parking, tables and chairs, and use of common areas for small break out groups. Premium in-house catering is offered by Rocky Top Catering, including breakfast, lunch, dinner, morning and afternoon snacks, and beverages. Make your meetings stand out from the others with our first-class venue with premium catering. 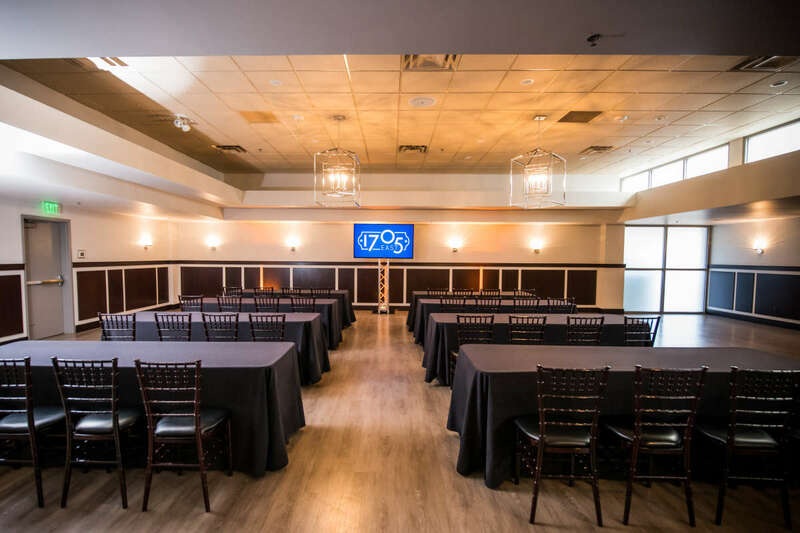 Description The Capital Room is 2600 square feet and accommodates 160 seated guests, 80 classroom style. 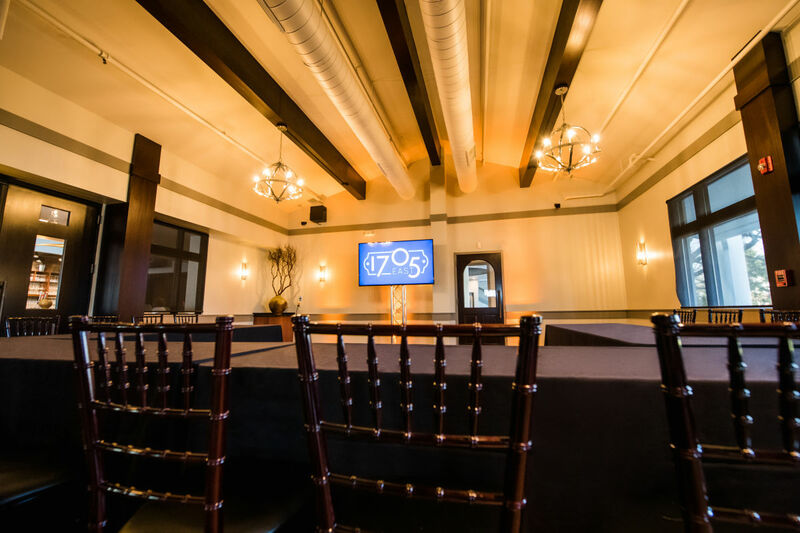 The Rutherford Room is 1500 square feet and accommodates 72 seated guests, 48 classroom style. Space fees include an A/V package, free parking, tables & chairs, and use of common areas for small break out groups. In-house catering is provided by Rocky Top Catering and includes breakfast, lunch and dinner options, morning and afternoon snacks, and beverage options. The Lounge is ideal for pre-reception gatherings and can accommodate up to 150 guests standing. There is a private full service bar.